"Our Firm value of ‘Commitment’ means that with every client, my goal is to understand their business needs and ensure that their disputes are resolved in a satisfactory and cost-effective manner." As a Partner in the Firm’s Insurance/Reinsurance Industry Group, Ed concentrates his practice in insurance and reinsurance arbitration and litigation. His goal with every client is to understand their business needs and ensure that their disputes are resolved in a satisfactory and cost-effective manner. He primarily represents cedents and reinsurers in proceedings involving life, accident and health and property/casualty contracts. These cases have involved disputes over a wide array of issues including breach of contract, breach of the duty of utmost good faith, breach of warranty, broker duties, fraud, misrepresentation and follow-the-fortunes. He is experienced in all aspects of the dispute resolution process. 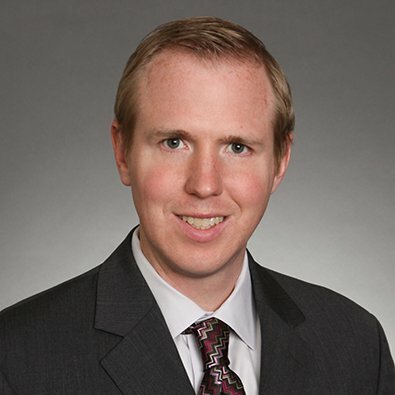 Before joining Freeborn, Ed was a member of the Insurance and Reinsurance Practice at Foley & Lardner LLP. Freeborn & Peters LLP is pleased to announce the elevation of five of its attorneys to partner. Edward W. Diffin III, Devon J. Eggert, John C. Hammerle, Emily R. Schey and Gladys C. Zolna were elected at the Firm’s December 2013 Equity Partner meeting.